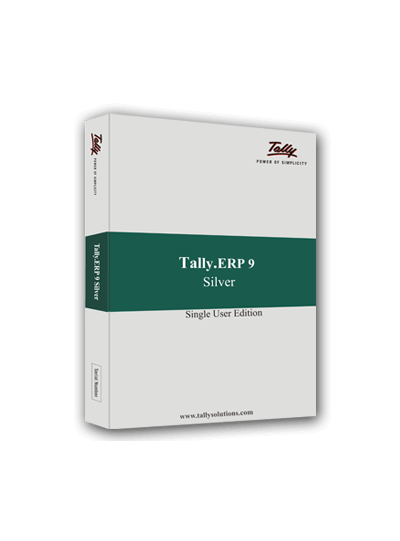 Where a single computer with Tally.ERP 9 is adequate for your operations, the Silver edition is what you need. A ‘user’ in this context is actually a computer system. This edition comes with all the features & capabilities including Tally.NET and services like Remote Access, Tally ERP9 Support. With Silver you can manage as many companies (business entities) and personal books of accounts as you need. You can also create as many users as you need, and provide each with the appropriate level of security. Your only restriction is that these users will all need to access Tally.ERP 9 from the system on which it is activated (licensed). Since Silver supports Remote Access as well, you can authorise access to your Chartered Accountant, who with his Auditors’ Edition of Tally.ERP 9, can remotely provide audit, compliance and advisory services. Similarly your Tally Service Partner can, via Remote Access, answer your queries and provide support. As a Tally ERP Silver user, you can create one Tally.NET identity, which you can use to login to your own system from home or while on the move. Other users of Tally.ERP 9 can also grant access to you by authorizing this Tally.NET ( Tally.Net Subscription)identity. We are provinding Tally ERP 9 installation to all our customers in dubai, abu dhabi, sharjah, al ain, fujairah, ajman uae. Our accounting experts will provide training on Tally ERP 9. Your can easily understand and can use our product Tally ERP Silver. Our Experts will provide highly efficient Onsite support to all your queries regarding Tally ERP 9. We are having branches all over in UAE. Penieltech providing maintenance to our product, Tally ERP 9 annually. This AMC services will provide to all our customers in Dubai,Abu Dhabi, UAE and Middle East. We are providing highly efficient online & onsite support to Tally ERP 9. Customers all over in UAE, Middle East can access our Tally support at any time. lets you define unlimited levels of classification, with regular names (no more inconvenient account codes), so Tally.ERP 9 can manage the most complex ledgers with ease. integrates your general, sales and purchase ledgers into a single ledger, organised in groups, for easy management. Enables you to record all types of transactions including receipts, payments, income and expenses, sales and purchases, debit notes, credit notes, adjustment journals, memorandum journals and reversing journals. Transaction data entry through unique voucher entry is easy and flexible to configure, for diverse types of transactions. lets you instantly obtain your Balance Sheets, Profit & Loss statements, Cash and Funds flows, Trial Balances, and other Tally Reports. Offers you flexibility of multiple currencies in the same transaction and allows viewing of all Tally. ERP 9 reports in one or more currency. Tally meets the fundamental criteria set out for EMU handling. Dynamically allocate payments against invoices with reference to due dates. Generate customisable reminders, for overdues. Helps you identify troublesome debtors and persistent late payers, thereby helping you take the right decision. Offers you a bird’s eye view of your company, through a single sheet performance analysis, based on a range of key performance ratios. Ensures real-time linking of accounts and inventory besides enabling instantaneous generation of documents, which can either be printed or mailed directly to the recipient. Tally gives you unlimited budgets and periods. For example, original and revised budgets. Tally.ERP 9 enables you to define security levels for access control. Allows you to track malafide changes, while making genuine corrections with unparalleled ease. helps you with your business forecasting and planning. You can use optional, reversing journals and memorandum vouchers, to aid in recording provisional entries that are useful for interim reports. For example, you can use optional vouchers to record provisional sales and compare with actuals. You can also prepare reports that include provisional figures, without affecting actual accounts, by using automatic reversing journals. Tally Software gives you multi-dimensional analysis and comparatives, with an unlimited classification of analysis criteria. Enables you to calculate interest on dues, loans etc., based on certain set criteria or specified dates and time periods. You can also customise the calculation of interest to change after a certain time period, or based on other pre-defined conditions. Tally Software allows you to expand your business beyond geographical boundaries without worrying about language barriers. You can maintain your accounts in one language, view reports in another language and send invoices to your customers in yet another language, all at the press of a button. lets you automate the management of your employee records including visa and employment contract management. This feature also offers automatic calculation of salaries and payslip generation. Tally Job Costing enables you to generate profitability statements for each project executed, including financial and material resource apportionments, wherever applicable. POS allows faster data entry and printing on 40 column continuous stationery. It also provides barcode support. Allows you to break away from inflexible accounting years and perform all accounting functions in Tally for time-periods that suit your convenience. Helps you synchronise and update data across multiple locations. This enables fast and easy exchange of business information, between offices and branches, across various geographies. Enables grouping of companies and provides consolidated reports. Changes done in any constituent or branch company are automatically updated in the grouped information. facilitates ledger classification and re-classification as required. It also enables easy viewing and analysis of information; thus helping you make informed decisions. Helps you compare information in order to understand and analyse performance levels for various periods or divisions. It helps you study and understand the buying patterns of customers, so that you can channel your resources to specific segments, periods or customers. It also helps you analyse cash flow situations. 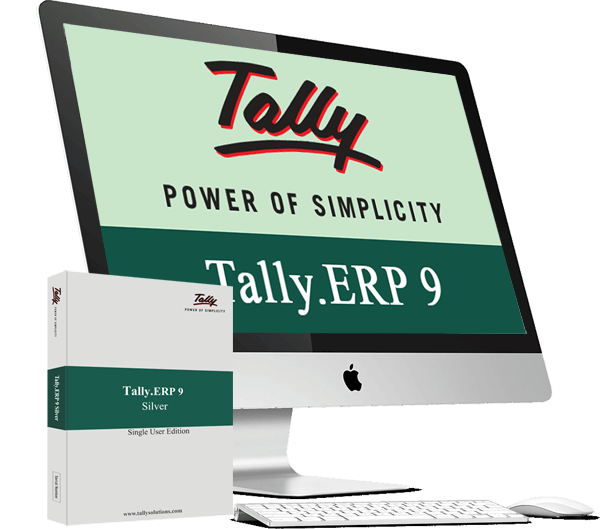 Tally.ERP 9 helps you drill down or instantly update from any report – starting from the Balance Sheet down to Vouchers, or vice versa. Helps you manage simple single-location, or complex multi-location stocks, with unlimited classification systems for your items, and your own units of measure. Tally Multi Location helps you track stock movement; allowing you to decide which warehouse to ship from depending on stock position. Helps you track stock, irrespective of the units of measure. For example, when you buy in tons and sell in kilograms or buy in crates and sell as pieces. lets you comprehensively record all sorts of inventory transactions, using the inventory voucher forms. Vouchers include goods receipt notes, delivery notes, stock journals, manufacturing journals and physical stock journals. All stock movements are fully recorded and maintained in stock registers. gives you party-wise details of goods bought and sold and helps you identify customer buying patterns, through movement analysis. Stock query is a unique single sheet report that gives you information on stocks at different locations, as well as stock in hand of substitutes. Tally Stock Ageing identifies stocks based on age, thus helping you to dispose off old stocks quickly. Helps you exercise stock control at the level of batches, by generating reports such as ‘batch-wise’ reports and ‘expiry date’ based details. Ensures that you stay on top of your stocks order position. You can also specify re-order levels in absolute quantities, or based on previous consumption. enables you to record orders with a complete cycle of recording and allocation through inventory deliveries, invoicing and accounting - maintaining the trail right through. Single sheet reports give you details of current stocks, orders due for delivery, orders due for receipt, or shortfalls, if any. You can also get party-wise or item-wise details of orders outstanding and/or fulfilled. Allows you to choose from different types of valuation methods, including ‘First in First out’, ‘Age Cost’, ‘Last in Last out’, ‘Standard’, among others. allows for user-defined Reorder levels for any given period thus helping you avoid excess stocking of items while ensuring that you don’t run out of essential stock. Price levels ( Tally ) allows you to pre-define item rates for specific categories of customers, enabling faster and error-free invoicing and data entry.